At Ignite 2017 it was announced that Pass Through Authentication (PTA) has reached General Availability (GA) so it is a fully supported scenario now. But what is PTA? 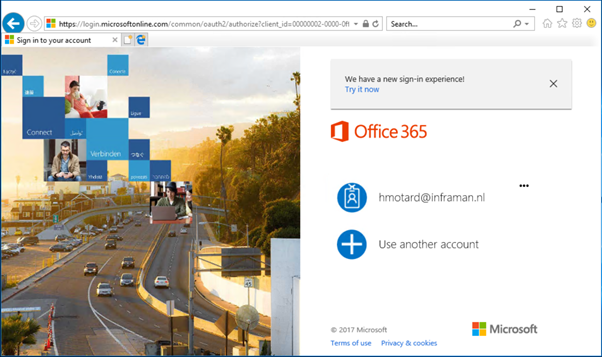 If Office 365 there are Cloud Identities, Synced Identities and Federated Identities. The first two are authenticated in Azure Active Directory, the last one is authenticated against on-premises Domain Controllers. For this to happen you need an ADFS infrastructure, consisting of multiple internal ADFS servers and multiple WAP (Windows Application Proxy) servers in the DMZ acting as ADFS proxies. Oh, and all servers need to be load balanced as well to provide redundancy and scalability. PTA on the other hand is built on top of Azure AD Connect, and as such an interesting extension of the Synced Identities. 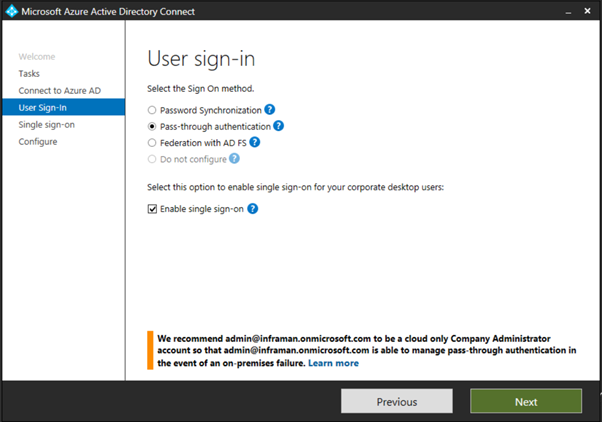 PTA installs an agent on the Azure AD Connect server (AuthN agent) which accepts authentication requests from Azure AD and sends these to on-premises Domain Controllers. The advantage of authentication against on-premises Domain Controllers is that no passwords (or password hashes to be more precise) are stored in Azure Active Directory. My first thought was how an authentication mechanism based on an asynchronous replication tool (Azure AD Connect synchronizes accounts every 30 minutes, and passwords within 2 minutes) ever be a reliable and safe solution. The last thing you want to happen is that you cannot authenticate to any service in the Microsoft cloud, because your Azure AD Connect server is busy doing other stuff (like automatically updating its engine for example ). My second thought was how secure this could be. There’s no inbound connection to the Azure AD Connect server, there’s only an outbound connection on ports 80 (only used for SSL certificate revocation lists) and 443. And the communication itself should be secured as well, so…. But now that PTA is generally available more information becomes available, and things become clearer. For authentication to happen PTA uses a ‘service bus’ in Azure. The service bus is a standard Azure solution where application can store system messages in the service bus and where other applications can use these system messages. Using a service bus, you can create an asynchronous but reliable communication mechanism. When logging to an Office 365 service the credentials are requested by Azure Active Directory, nothing new here. The credentials are encrypted and stored in the service bus. 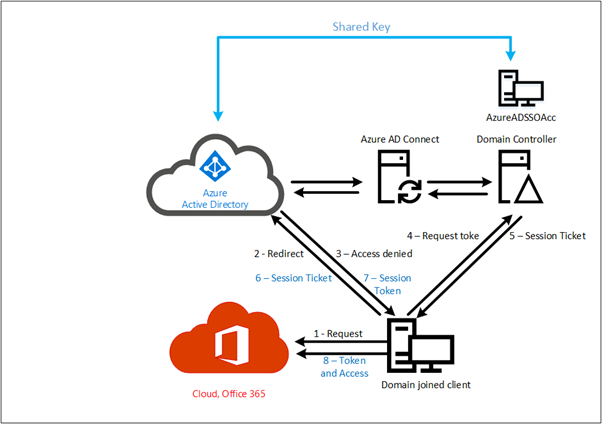 The AuthN agent on the Azure AD Connect server has a persistent connection to Azure AD and to the service bus, and retrieves the encrypted credentials from the service bus, decrypts them and presents them to the on-premises Domain Controller. The Domain Controller response (success, failure, password expired or user locked out) is returned to the AuthN agent and stored it on the service bus. Azure AD picks up this response and the user can continue working (or not of course, depending on the Domain Controller response).